When I first started teaching, few of the students who graduated from the school where I worked went on to college. That included my foreign language students. I knew for them to do well after high school graduation this had to change. I started slipping reasons for going to college into our conversations. A hint here, a hint there, the idea eventually took hold. I started putting up a poster each January and encouraged all seniors to list their post-graduation plans for everyone to see. This had a positive impact as well. After a couple of years of doing this, I noticed all seniors listed college as their destination. As college prices increased to absurd levels, I started informing my students of ways to avoid college debt. Some students were better at this than others. I wondered what they did that made the difference. After doing a great deal of research, I put together a questionnaire. I distributed it widely and also solicited comments. It became clear those who received the most scholarship money had several habits in common. I wrote the book above with this information. In addition to listing the sixteen successful strategies, I explain them and the results I saw for each. I suggest ways families could adopt them as well. The families and/or students who were better at practicing these behaviors received more scholarship money than those who only performed some of them. Those who did them all received Full Ride Scholarships. I feel it’s important to make this information public. I want it to be known by families everywhere. 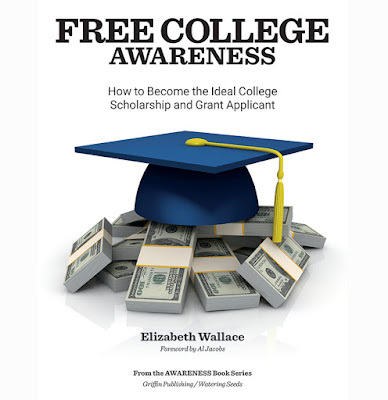 This way, everyone will be aware of what to do to avoid college loans. College debt is difficult to pay off, and becomes a monster that follows college students for years, if not for life. My book is at the publisher now and should be available this fall. I’ll announce on my website when families can buy a copy. If you have Pre-K through High School students in your life, my book could help you and them. 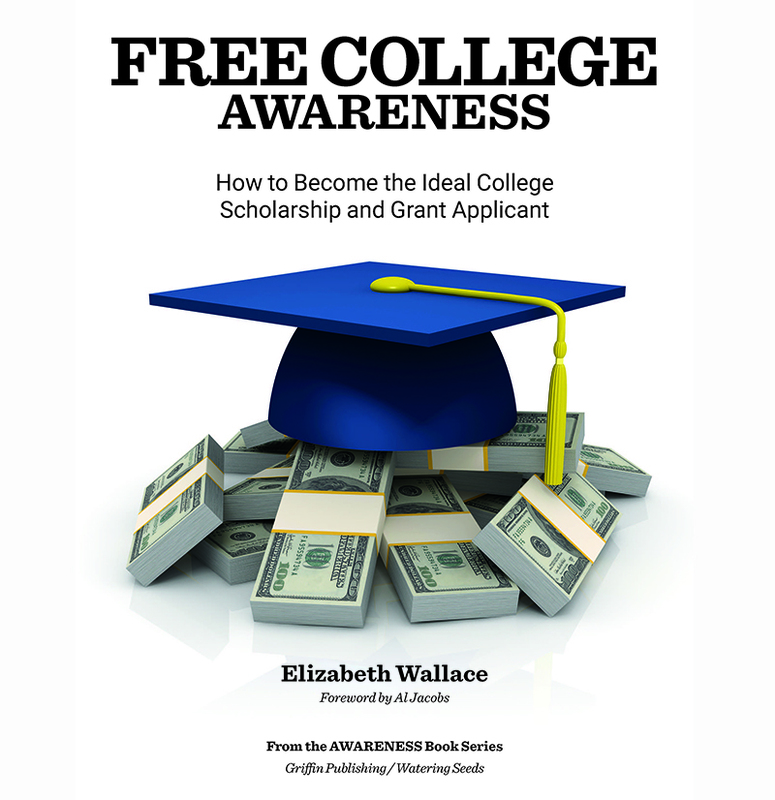 Free College Awareness, coming soon from Griffin Publishing. 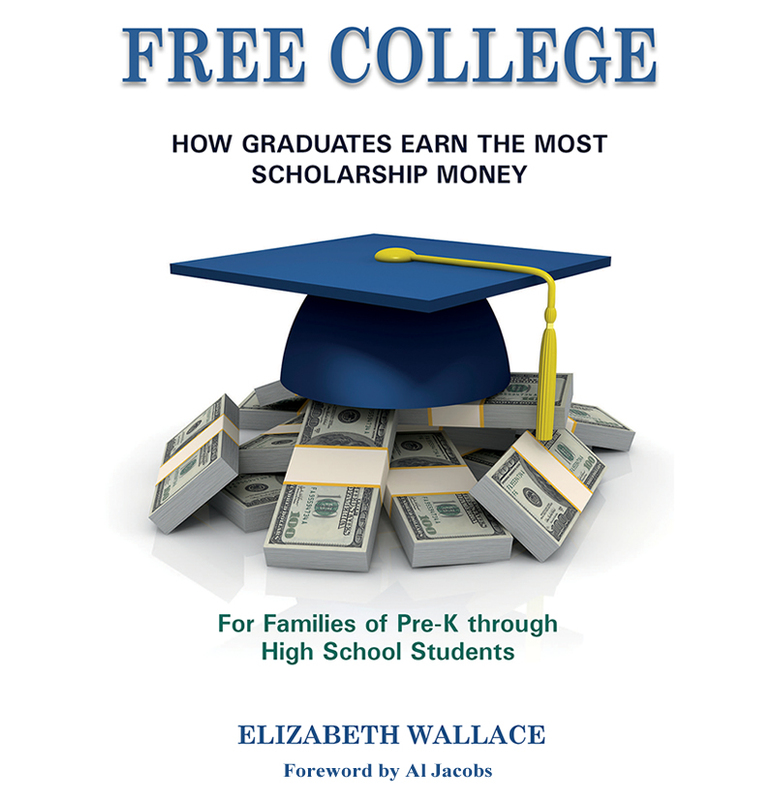 How to avoid needing college loans; available soon to families of Pre-K through High School students.